Melasma pigmentation are darker patches typically present on the upper cheeks, forehead and upper lip which develop over time. Pregnant women and those taking oral contraceptives and HRT are more prone to melasma. The cause is unknown but is linked to hormonal changes rather than sun damage. 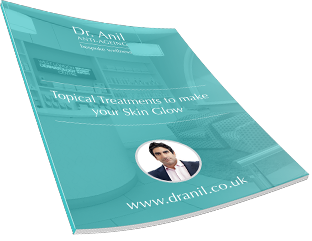 Dr. Anil uses best skin pigmentation treatment and can treat pigmentation using a novel, safe technique using Tranexamic Acid (TXA) injections at the site of the melasma. Clinical trials have shown TXA to reduce the pigmentation associated with melasma. 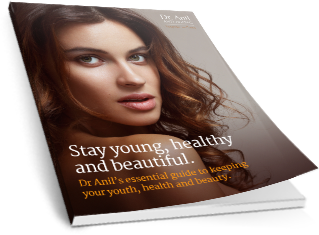 Other treatments include a variety of skin-lightening creams (from cosmeceuticals like Obagi to prescription only creams), chemical peels and lasers. Melasma is a skin condition characterized by the appearance of dark patches on certain areas of the face such as the forehead, upper lip, bridge of nose and upper cheeks. While it is not life threatening in any way, it can affect a person’s self confidence. It is believed to be caused by hormonal fluctuations, especially during pregnancy, and commonly affects women in the age group of twenty to forty. A tranexamic acid (TXA) injection administered at the site where patches appear is considered to be one the safest and most effective skin pigmentation treatment available for this condition. After treatment, the patient has blemish-free skin that projects a healthy radiance and an even skin tone. Chemical peels, laser treatments, prescription creams and skin lightening creams (Obagi and Pigmanorm) can also be effective for treating skin pigmentation. Response time for treatments depends on individual healing capabilities. Surface WHITE is a cocktail of ingredients containing Glutathione, an antioxidant which lightens and rejuvenates the skin. Glutathione naturally decreases with age and injection into the affected areas of the skin can soften the pigmentation. The complete pack comes with a serum and cream, both containing GABA Complex that lightens the skin and dark spots. After 4 weeks, 88.9% of volunteers found their skin brighter. After 5 weeks, volunteers found their dark spots were 28% lighter. Provided with a mesoroller for a safe home use, these solutions allow you to refresh your skin with one application per week, during five weeks. Choosing a medical team with appropriate qualifications and experience is vital for securing safe and effective pigmentation treatment results.